(18/P020) TRENTON – The Department of Environmental Protection is seeking nominations for New Jersey Historic Preservation Awards, a prestigious honor that acknowledges the dedication of those whose work advances historic preservation in the Garden State. The deadline for submission of nomination applications is April 12 at 4 p.m. Recipients will be honored in June during the 28th Annual New Jersey Historic Preservation Awards program. Each year, the awards program honors important contributions to the preservation of New Jersey’s historic and archaeological resources, as well as pioneering efforts in sustainability, historic preservation education, interpretive programs, and planning to preserve historic and archaeological resources. 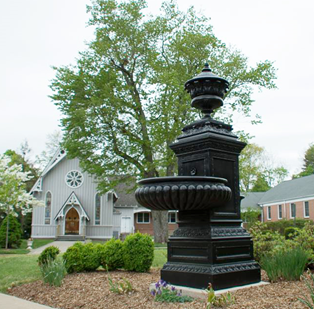 Last year’s recipients included a project to restore an 1858 Greek Italianate home in Moorestown, Burlington County, as corporate headquarters for BAYADA Home Health Care; a partnership by History in the Making and the New Jersey Historic Trust to develop the state’s first website dedicated to promoting heritage tourism; and the restoration of Metuchen’s “horse trough” fountain, a cast-iron fountain that is a prominent element in the Middlesex Avenue-Woodwild Park Historic District. The awards will be presented in conjunction with Preservation New Jersey’s Historic Preservation Leadership Awards ceremonies at 3:30 p.m. June 7 at The Hamilton Club of Passaic County Community College, 32 Church Street, Paterson. A team of historic preservation professionals will judge the nominations in several categories, including contributions to the advancement of historic preservation; innovative documentation of historic resources that contribute to our knowledge of the past; and pioneering efforts to preserve communities, buildings, archaeological sites and other types of historic resources. The DEP’s Historic Preservation Office provides expertise in a variety of fields essential to preserving historic resources. The office comprises staff historians, researchers, planners, architects, engineers and archaeologists, and responds to more than 40,000 calls per year from people working to preserve, protect and promote New Jersey’s historic resources. The state lists more than 51,000 sites on the New Jersey and National Registers of Historic Places, ranging from some that are very well known to others that preserve lesser-known facets of the state’s history. 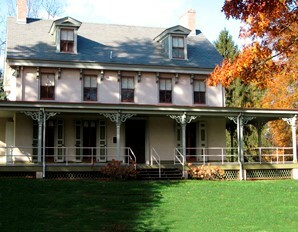 These sites include the Walt Whitman House in Camden, the Botany Worsted Mills Historic District in Passaic City, the Blairstown Historic District and Blairstown Railroad Station in Warren County, numerous sites along the Underground Railroad, the Mullica Hill Historic District in Gloucester County, and the birthplace of pioneering women’s rights activist Alice Stokes Paul in Mount Laurel.